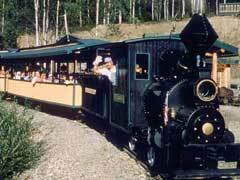 Gold Mines For Sale in Alaska – Can You Still Jump On The Gold Train? Gold mining is alive and well in the State of Alaska. Gold mines for sale in Alaska vary from placer mines to underground diggings. You can find information from the Alaskan Department of Mining in Juneau or follow leads on the web. 1. McCumber Creek includes three claims that are active and are listed in Alaska’s Department of Natural Resources. This claim has an average potential for economic prosperity and this site is ideal for dredging. Wash-plant mining is also an option. Gold is located in bedrock and in the streams. There is a livable cabin in the vicinity and the old workings of previous gold mines for sale are also available. 2. There are gold mining claims for sale in the Wrangell Mountains in Alaska and include a five acre home site surrounded by water. This gold mine for sale in Alaska is going for $580,000 and recreation gold mining is the main draw of this claim. Wonderful recreational possibilities. 3. One of the best gold mines for sale in Alaska includes the Pedro Dome Mine in the Fairbanks area. This has over $128 million of gold reserves on record and more probable resources are available. Three hundred acres with drill logs and exploration data are available and the site is production ready for hard rock mining. The asking price for this mine is $50 million. There is also 39,870 ounces of silver ore available for mining. 4. For investors in Alaska gold mines there are patented BLM placer claims that total 170 acres. One hundred and forty of these acres are available for mining and the entire property is located next to Nome. This is also a great potential investment in real estate. 5. In the Salcha River area, gold mines for sales in Alaska include 17.74 acres of a working mine. This sale of this mine includes dragline and dozers and other mining equipment and tools. Although this mine is in the interior of Alaska and somewhat difficult to get to without an airplane, the selling price is only $300,000K and the Bureau of Land Management has estimated that gold reserves are of high quality. Gold mines in Canada near the Alaska border include active mines that began in the 1930s and are still producing valuable reserves of gold and silver ores. There are tremendous valuable mineral deposits in the area of the Northwest Territories of Canada and Alaska and recent diamond mines have been opened. Highly valuable gold and now diamonds make this remote area one of the richest mining areas in the world.